Sporty kids and kids that are bursting at the seams with energy seem like they would be the perfect little circus performers, but what about everyone else? Have a scroll through this post to see whether circus is the right fit for your child. Kids who are quiet and not especially outgoing might not seem like a good fit for the pizzazz of circus, and you might be a little hesitant to put your child in a class with louder, more outgoing students. But at Circus Akimbo, we take an individualised approach to teaching, and we make sure no child in our classes get overlooked. We hear every child, no matter how quietly they speak, so even the most shy children find themselves in a welcoming community where they can be comfortable being themselves. In just a few weeks, these kids often come right out of their shell after they see the amazing things they can learn to do! Some kids are just weird, and that’s amazing! That is who they are as individuals. Some out of school activities can be difficult for these kids, because they feel the need to be “normal”. But at Akimbo, we celebrate our differences, and creative minds are super important to the circus experience. No matter how quirky, in the circus even the most unique kids can fit in by standing out! A lot of kids struggle with sports that require hand-eye coordination, and think that they’re simply bad at anything physical. For these kids, the dexterity of juggling or the finesse of aerials may seem unattainable, but it isn’t as hard as you might think. Everyone starts somewhere, and even the most accident prone children can be taught how to do things that they never thought were possible. All it requires is a little training and encouragement that we will provide in tons! Before you know it, your child will be doing things they thought they were “too uncoordinated” for! Some kids HATE sport, especially school sport. But this doesn’t mean that they don’t want to be active, usually it means they dislike the rigid, impersonal way sports are taught to kids. At Circus Akimbo, we let kids choose the skill they find interesting, so they feel as though they can choose how they want to find out just what their body can do. All kids feel self conscious at one point or another, and we know that parents really want to combat that. Kids and teens can feel very self conscious about their abilities or their bodies, but circus is all about finding out the amazing things you can do already, and building up your skills until you achieve something you didn’t think was possible. This can be a huge confidence boost for kids and it gives them something to be proud of. As you might’ve been able to tell, if you are wondering if your child is suited to circus, the answer is almost always yes. 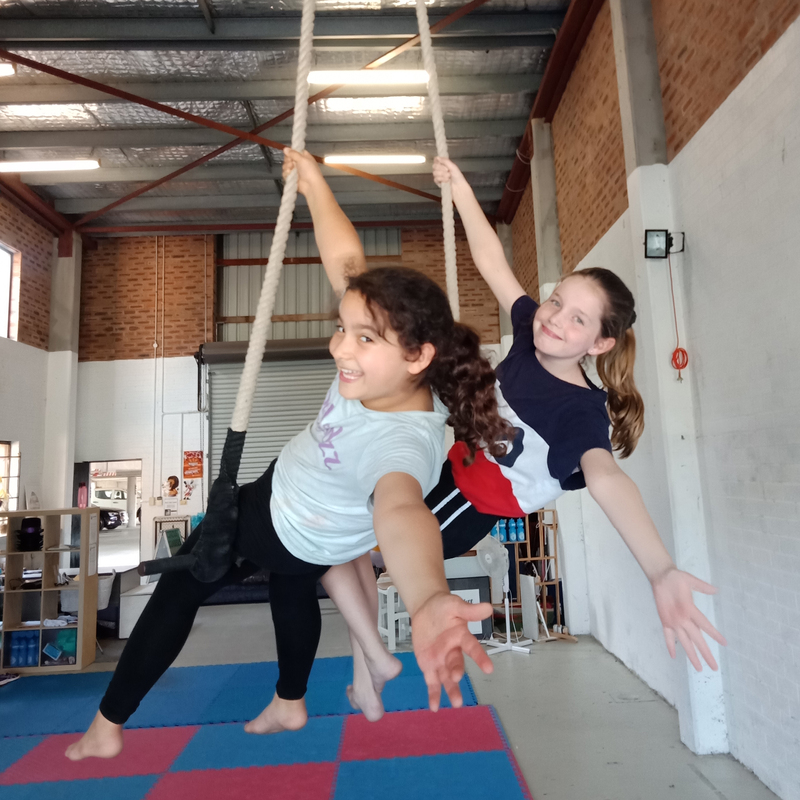 Feel free to email us at info@circusakimbo.com.au to talk about any particular concerns you have, but circus is a great activity for any child, and we would love to have them as a student here at Circus Akimbo.